The Oakland Police Department’s Animal Services is sending two of their Animal Control Officers to Butte County to help evacuate and shelter small and large animals displaced by the many fires in the county. They will be stationed at a Red Cross shelter that is temporarily housing both people and their animals. The disaster quickly overwhelmed the capacity of the five Animal Control Officers that cover the region so the State Office of Emergency Service put out a call across the State for 20 Animal Control Officers. The two Oakland Animal Control Officers, Troy Snell and Robby McKenna, will be leaving for Butte County on Friday morning in an Oakland Animal Control truck. They are scheduled to stay for three to four days. 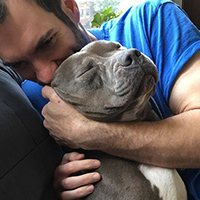 Adam Parascandola, Director of Oakland Animal Services, volunteered after Katrina rescuing animals and has talked with the Officers about what they might encounter. 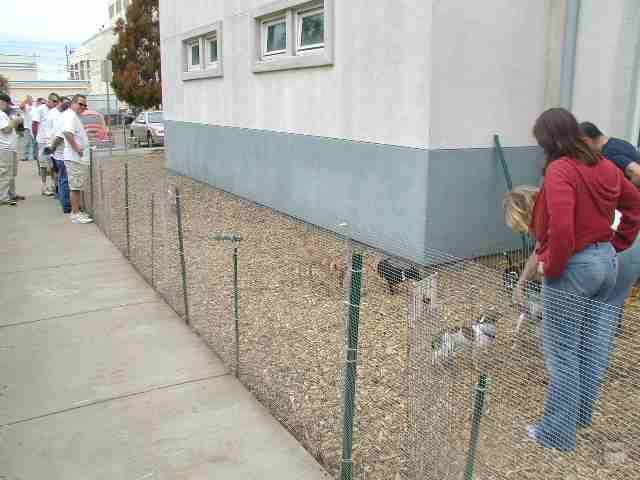 East Bay Animal Advocates to Transport Chickens! East Bay Animal Advocates has been a huge help in providing care and obtaining placement for the nearly 500 baby chickens that we impounded in May! Animal Acres in Southern California has agreed to take 200 of them and East Bay Animal Advocates will transport them there on July 5th! Thank you! 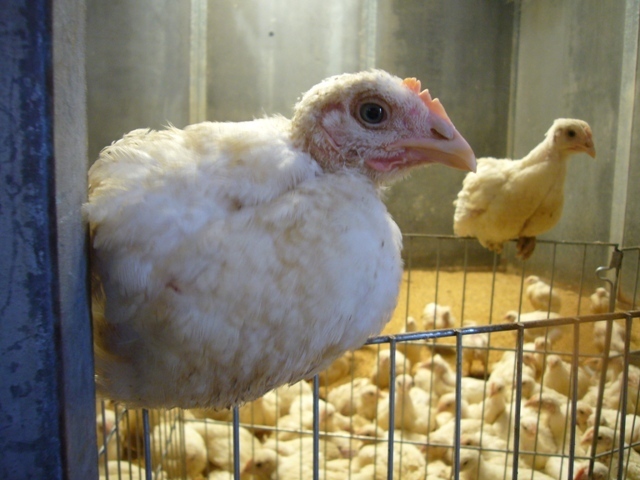 Please consider donating to East Bay Animal Advocates to help cover the cost of transporting these birds! Special Thanks to Pet Food Express! The Oakland Animal Shelter would like to thank Pet Food Express for all of their ongoing support! 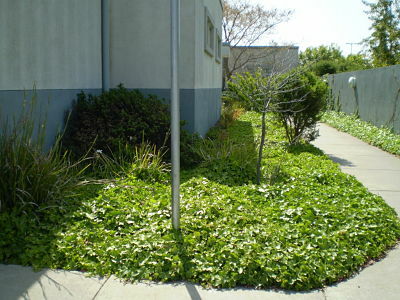 They have provided the Shelter with a wide range of assistance, including financial contributions to the Friends of the Oakland Animal Shelter through their innovative My Mutt’s program, discounts to adopters, lots of donations of food and supplies, and expert help from their wonderful staff. 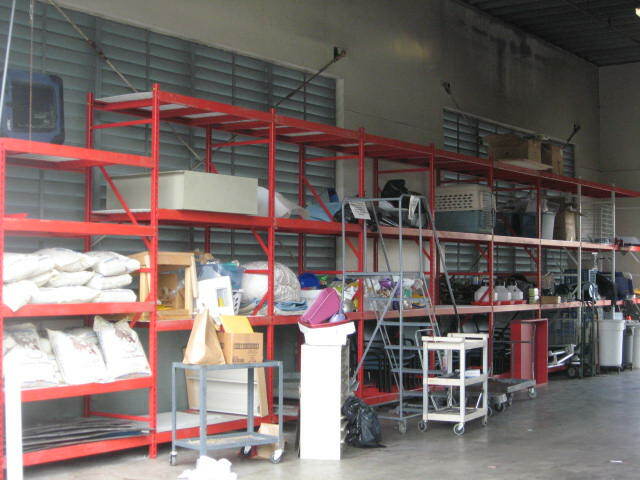 For example, Pet Food Express recently installed large, warehouse shelving in the Shelter’s garage area. This has made it possible for us to convert our current storage area to a room for rabbits and small animals! We want to acknowledge owners Michael Levy and Mark Witriol for their incredible commitment to helping animal organizations in the community. Special thanks to their staff members, Mike Murray, who has helped us in so many ways and to John, from maintenance, who installed all the shelving (all by himself!) 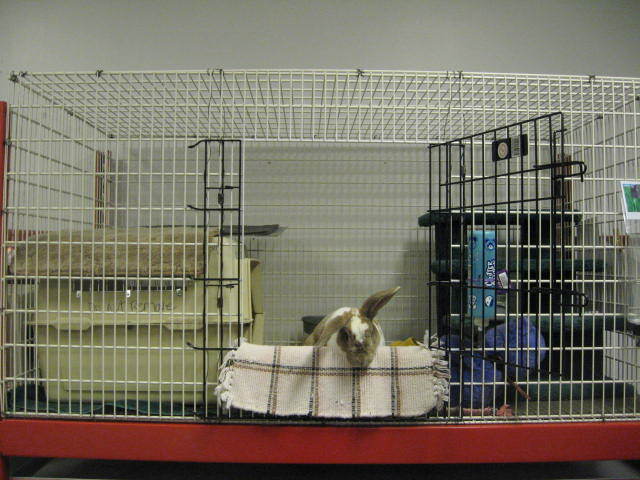 and even made a beautiful cage for our Shelter rabbit – Dusty (see below!)! Thank you! WONDERFUL NEW SHELVING FROM PET FOOD EXPRESS! 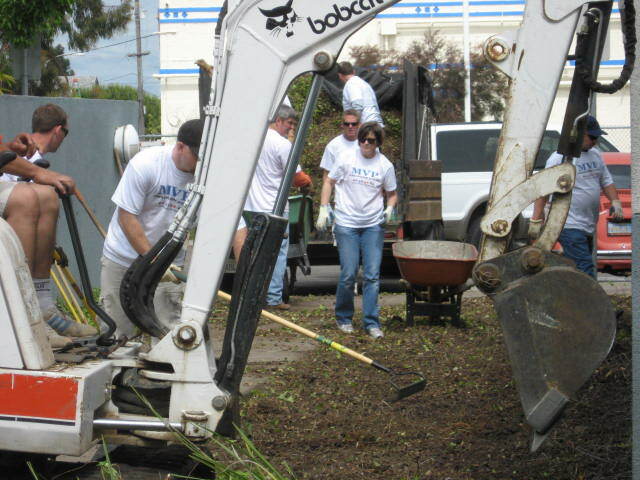 Employees from Nutro clear out an area at the Shelter for little dogs. The Shelter will have new hours beginning June 1st, 2008!!!! Oakland Animal Services came to the aid of more than 500 day-old chicks taken into custody at Oakland Airport. The chicks were being transported by the United States Postal Service from a Santa Cruz hatchery to a destination in Washington State on Tuesday, May 13.
hours before Oakland Animal Services impounded them. growth so they can be slaughtered at six weeks of age. 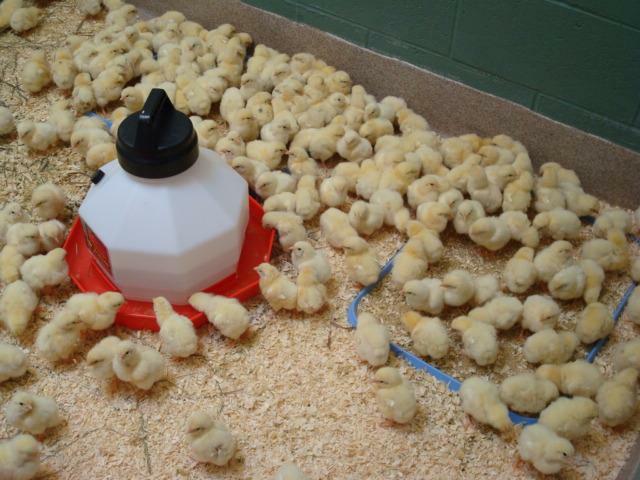 hatchery in America sent 50 chicks from New Jersey to Illinois in 1892.
in countless deaths each year. 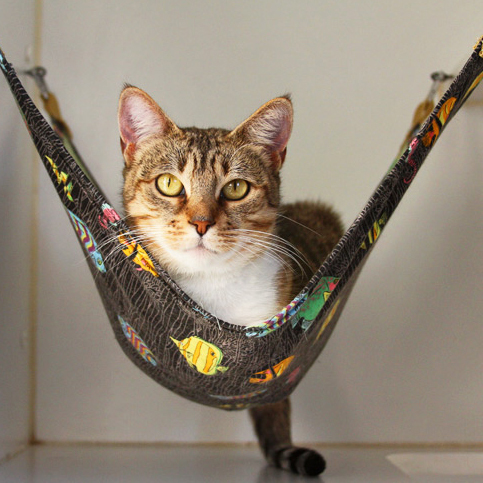 We’ve been working hard to find ways to improve the lives of the animals while they are in our care. Small dogs are often extremely frightened when they come into the Shelter since they are surrounded by much larger and much louder dogs in the kennels. We wanted to find a way to house these little dogs in a new way. So, we found a room to remodel and with the help of multiple volunteers we repainted the room and filled it with comfy furniture and bedding to make “Smallville”. 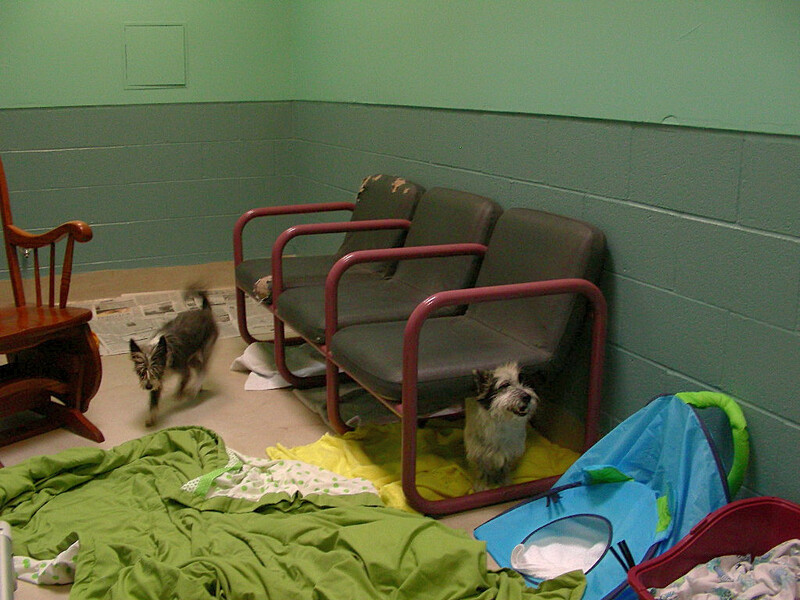 Now, little dogs will live in this room together without cages and away from the noise of the “big dog” kennels. We have already noticed a major change in the behavior of the first small dogs that we’ve placed in this room. They are much less stressed and outgoing! Lynda Dann (www.lyndadann), artist and Oakland Animal Shelter volunteer, painted each of the Shelter’s animal socializing rooms with themed murals. Dann donated a large amount of her time for this project and the rest of the costs were co-sponsored by Friends of the Oakland Animal Shelter (www.oaklandsanimals.org) and Pet Food Express (www.petfoodexpress.com). Jarrod Cooper, Oakland Animal Shelter volunteer and players for the Raiders, is featured in the Sacramento Bee this week for his work at the Shelter: http://www.sacbee.com/raiders/story/764231.html. Photo from Sacramento Bee.